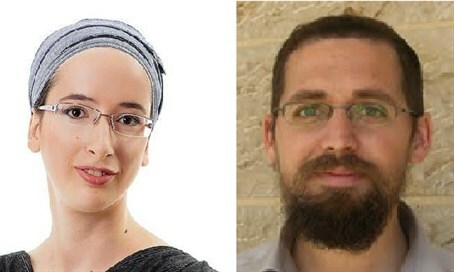 The victims are Rabbi Eitam Henkin and Naama Henkin, residents of the community of Neria. They were murdered by terrorists who opened fire towards their vehicle as they were driving between Itamar and Elon Moreh, and were murdered in front of their four children. Rabbi Eitam's parents, who made aliyah from the United States, are Rabbanit Chana Henkin, founder of the Nishmat Institute for Advanced Jewish Studies for Women in Jerusalem and Rabbi Yehuda Henkin, known posek (halakhic decisor) and author of the four volume set of responsa, Bnai Banim. A senior military official said on Thursday night, following the murderous attack, "This is a very serious attack and we are taking all the necessary actions in the field. We cannot say at the moment whether it was one or several murderers and we do not know yet whether it was committed by Hamas or another organization." "Tonight, bloodthirsty murderers claimed the lives of a mother and a father, leaving their young children orphaned. The heart breaks at the magnitude of such cruelty and hatred,” the President said. “We will continue in our brave and unwavering fight against this cruel and heinous terrorism - of this our enemies can be sure. This is our duty, and the only way we can ensure the right of the orphans who lost their parents tonight, along with the right of all our children and grandchildren, to live with security and in peace, everywhere in the Land of Israel,” he added. “We pray for the speedy recovery of the injured children - our hearts and thoughts are with them," concluded Rivlin.